Dr. Katherine Thornton from Yale University Library, New Haven, Connecticut, US visited the SDA group on November 28, 2018. Katherine Thornton is an information scientist at the Yale University Library working on creating metadata as linked open data. Katherine earned a PhD in Information Science from the University of Washington in 2016 and works on the Scaling Emulation as a Service Infrastructure (EaaSI) project describing the software and configured environments in Wikidata. Katherine has been a volunteer contributor to the Wikidata project since 2012. Dr. Thornton was invited to give a talk on “Sharing RDF data models and validating RDF graphs with ShEx“ and “Documenting and preserving programming languages and software in Wikidata” at the SWIB conference (Semantic Web in Libraries). SWIB conference is an annual conference, being held for the 10th time, focusing on Linked Open Data (LOD) in libraries and related organizations. It is well established as an event where IT staff, developers, librarians, and researchers from all over the world meet and mingle and learn from each other. The topics of talks and workshops at SWIB revolve around opening data, linking data and creating tools and software for LOD production scenarios. These areas of focus are supplemented by presentations of research projects in applied sciences, industry applications, and LOD activities in other areas. At the bi-weekly “SDA colloquium presentations” she gave a talk on “Wikidata for Digital Preservation” and describe the workflow of creating the metadata for resources in the domain of computing using the Wikidata platform. While reusing these URIs in metadata to describe pre-configured emulated computing environments in which users can interact with legacy software. She introduced this project in the context of current work at Yale University Library to provide Emulation as a Service. Afterwords, she discussed her data curation work in Wikidata as well as the Wikidata for Digital Preservation portal available at wikidp.org. WikiDP is a streamlined interface for the digital preservation community to interact with Wikidata. The system is available online at http://wikidp.org. The goal of Dr. Thornton’s visit was to exchange experience and ideas on digital preservation using RDF technologies. In addition to presenting various use-cases where these technologies have applied, Dr. Thornton shared with our group future research problems and challenges related to this research area. During the meeting, SDA core research topics and main research projects were presented and we investigated suitable topics for future collaborations with Dr. Thornton and her research group. John Domingue is a full Professor at the Open University and Director of the Knowledge Media Institute in Milton Keynes, focusing on research in the Semantic Web, Linked Data, Services, Blockchain, and Education. He also serves as the President of STI International, a semantics focused networking organization which runs the ESWC conference series. His current work focuses on how a combination of blockchain and Linked Data technologies can be used to process personal data in a decentralized trusted manner and how this can be applied in the educational domain (see http://blockchain.open.ac.uk/). This work is funded by a number of projects. The Institute of Coding is a £20M funded UK initiative which aims to increase the graduate computing skills base in the UK. As leader of the first of five project Themes John Domingue is focusing on the use of blockchain micro-accreditation to support the seamless transition of learners between UK universities and UK industry. From January 2019, he will play a leading role in the EU funded QualiChain project which has the aim of revolutionizing public education and its relationship to the labor market and policy-making by disrupting the way accredited educational titles and other qualifications are archived, managed, shared and verified, taking advantage of blockchain, semantics, data analytics and gamification technologies. From January 2015 to January 2018 he served as the Project Coordinator for the European Data Science Academy which aimed to address the skills gap in data science across Europe. The project was a success leading to a number of outcomes including a combined data science skills and courses portal enabling learners to find jobs across Europe which match their qualifications. Prof. Domingue was invited to give a talk “Towards the Decentralisation of Personal Data through Blockchains and Linked Data“ at the Computer Science Colloquium at the University of Bonn co-organized by SDA. At the bi-weekly “SDA colloquium presentations” he presented KMi and the main research topics of the institute. The goal of Prof. Domingue’s visit was to exchange experience and ideas on decentralized applications using blockchains technologies in combination with Linked Data. In addition to presenting various use-cases where blockchains and linked data technologies have helped communities to get useful insights, Prof. Dr. Domingue shared with our group future research problems and challenges related to this research area. During the meeting, SDA core research topics and main research projects were presented and we investigated suitable topics for future collaborations with Prof. Domingue and his research group. Prof. Dr. Khalid Saeed (ResearchGate) from Bialystok University of Technology, Bialystok, Poland was visiting the SDA group on October 24, 2018. 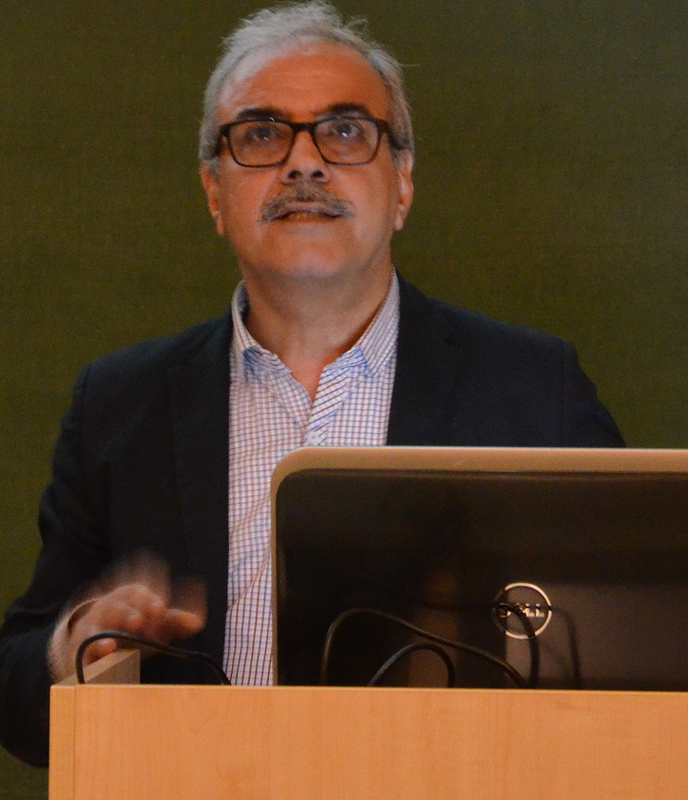 Khalid Saeed is a full Professor of Computer Science in the Faculty of Computer Science at Bialystok University of Technology and Faculty of Mathematics and Information Science at Warsaw University of Technology, Poland. He was with AGH Krakow in 2008-2014. Khalid Saeed received the BSc Degree in Electrical and Electronics Engineering from Baghdad University in 1976, the MSc and PhD Degrees from the Wroclaw University of Technology in Poland in 1978 and 1981, respectively. He was nominated by the President of Poland for the title of Professor in 2014. He received his DSc Degree (Habilitation) in Computer Science from the Polish Academy of Sciences in Warsaw in 2007. He has published more than 200 publications – 23 edited books and 8 text and reference books. He supervised more than 110 MSc and 12 PhD theses. He received more than 20 academic awards. His areas of interest are Image Analysis and Processing, Biometrics and Computer Information Systems. Prof. Jens Lehmann invited the speaker to the bi-weekly “SDA colloquium presentations”. 20-30 researchers and students from SDA attended. The goal of his visit was to exchange experience and ideas on biometrics applications in daily life, including face recognition, fingerprints, privacy and many more. Apart from presenting various use-cases where biometrics has helped scientists to get useful insights from image analysis and processing and row data, Prof. Dr. Saeed shared with our group future research problems and challenges related to this research area and gave a talk on “Biometrics in everyday life”. As part of a national BMBF funded project, Prof. Saeed (BUT) is cooperating currently with Fraunhofer IAIS in the field of cognitive engineering, and as an outcome of this visit, we expect to strengthen our research collaboration networks with WUT and BUT, mainly on combining semantic knowledge and Ubiquitous Computing and its applications; Emotion Detection and Kansei Engineering. Simultaneously, this talk was a continuous networking within EU H2020 LAMBDA project (Learning, Applying, Multiplying Big Data Analytics) and as part of this event, Dr. Valentina Janev from the Institute “Mihajlo Pupin” (PUPIN) was attending the SDA meeting to investigate further networking with potential partners from Poland as well. Among other points, co-organizing coming conferences and writing joint-research papers have been discussed. 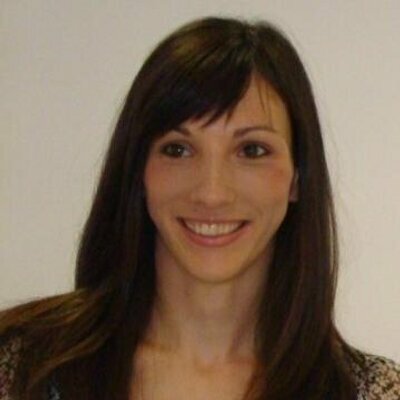 Anastasia Dimou is a Post-Doc Researcher at the Internet Technology & Data Science Lab at Gent University, Belgium. 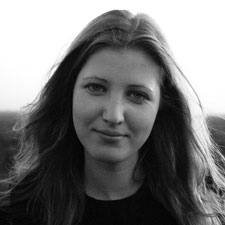 Anastasia joined the IDLab research group in February 2013. Her research expertise lies in the area of the Semantic Web, Linked Data Generation and Publication, Data Quality and Integration, Knowledge Representation and Management. She has broad experience on Semantic Wikis and Classification. As part of her research, she investigated a uniform language for describing the mapping rules for generating high-quality Linked Data from multiple heterogeneous data formats and access interfaces and she also conducted research on Linked Data generation and publishing workflows. Her research activities led to the development of the RML tool chain (RMLProcessor, RMLEditor, RMLValidator, and RMLWorkbench). 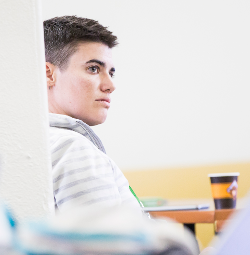 Anastasia has been involved in different national and l research projects and publications. Prof. Jens Lehmann invited the speaker to the bi-weekly “SDA colloquium presentations”. The goal of her visit was to exchange experience and ideas on RML tools specialized for data quality and on the fly mapping, including heterogeneous dataset mapping into LOD. Apart from presenting various use cases where RML tools were used, she introduced a declarative RML serialization which models the mapping rules using the well-known yaml language. Anastasia shared with our group future research problems and challenges related to this research area. In her talk, she introduced a full workflow aka the RML tool chain which models components of an RML mapping lifecycle. She discussed its application to the structure of heterogeneous data sources. Anastasia Dimou mentioned that adding support for data quality during the mapping shall allow users to efficiently explore a structured search space to enable the future violations not only map the range of the known domain but also help to discover new knowledge from the existing knowledge base worth mapping. During the visit, SDA core research topics and main research projects were presented in a (successful!) attempt to find an intersection on the future collaborations with Anastasia and her research group. As an outcome of this visit, we expect to strengthen our research collaboration networks with the Internet Technology & Data Science Lab at UGent, mainly on combining semantic knowledge for exploratory and mapping tools and apply those techniques for a very large-scale KG using our distributed analytics framework SANSA and DBpedia.